God thinks the world is worth saving. When we are close to God, we too will want to save the world. 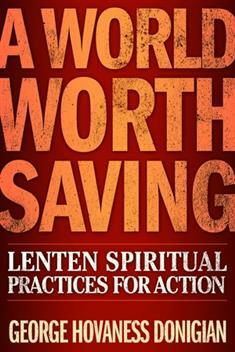 For anyone who dismisses Lent as a seemingly endless time of self-sacrifice and introspection, this 6-week study for Lent offers a breath of fresh air. It connects prayer and other inner spiritual practices with outward actions of mercy and compassion.